For the second time this season, Ohio State goaltender Christian Frey stole the show against the Penn State Nittany Lions. Frey shut out the Lions back on January 6 in Columbus — 3-0 on 46 shots, and silenced arguably the loudest crowd in Pegula Ice Arena history with 56 saves on 59 shots. No. 1 Penn State and No. 11 Ohio State skated to a 3-3 tie, but Ohio State collected the extra point in the Big Ten standings with a win in a seven-round shootout, thanks to Sam McCormick’s sudden-death winner. 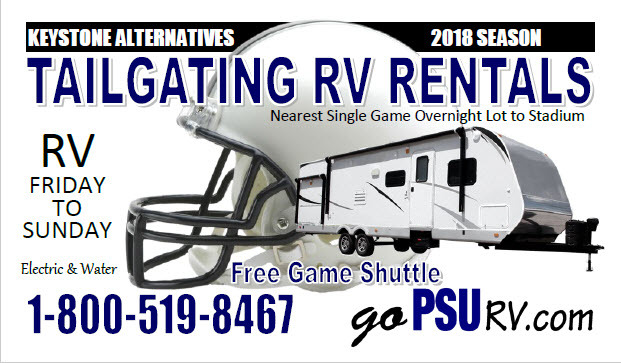 On a night that had a celebratory sense to it with Penn State playing its first game as the nation’s No. 1 team, the Ohio State goaltender stood out the most after the game and left Penn State personnel scratching their heads. Pegula Ice Arena and The Roar Zone gave Frey fits all night, as the student section was filled to the point where students were sitting in the aisles, but Frey continued his strong performance against Penn State this season. Penn State got on the board with a James Robinson goal in the first period. That 1-0 lead for Penn State held up in the first intermission, at which point the Lions led in shots 24-3. Robinson played on a line for the first time this season with Ricky DeRosa and Nate Sucese as an illness to top-line center Dylan Richard sidelined him and forced Gadowsky to shuffle the forward lines. The new trio combined for a goal, two assists and a plus-three rating on Friday night. In the second period, Josh Healey tied the game on a sneaky wrister from the left circle and Vince Pedrie did his Anthony Rizzo impression and batted the puck out of the air with his left-handed stick and put it by Frey, giving Penn State a 2-1 lead. Yet despite Alec Marsh returning from a month-long injury and scoring a go-ahead goal in the third period, Ohio State’s Mason Jobst scored two goals in the third to keep the game tied and force overtime, where Penn State was unable to score on a golden power play chance. Ohio State finished 1-for-4 on the power play and Penn State finished 0-for-3. After defeating Penn State in the shootout, the Buckeyes will gain the extra point in the Big Ten standings. Rohlik added after the game that the extra point did not come easy. Christian Frey stood on his head and there’s no other way to describe it. He’s fighting it out with Matt Tomkins to be the main goalie in Columbus, and Frey made a great case for himself staving off a massive effort from Penn State in overtime. Frey is now 6-2-2 on the season, and entered tonight’s game with a .917 save percentage and 2.61 goals-against average. He isn’t exactly a secret. Before the game, Ohio State’s players were warming up outside their locker room, and one of them could be heard motivating his teammates by saying, “to be the best, you have to beat the best.” It’s now official that Penn State has a target on its back with the USCHO.com number one ranking next to its name. The Nittany Lions are a young team with much more experience being the underdog than being the team everyone wants to beat, so I’m not expecting this number one ranking to last very long if the Lions keep turning in performances that come up short, like this one. Gadowsky is 100% right about Penn State’s possible adjustments for tomorrow night’s game. Don’t change a single thing. Penn State still got nearly 60 shots on goal, and teams win games much, much more often than not with totals like that. Christian Frey just stood tall and shut the door on several quality chances. All of Penn State’s line combinations were effective to some degree, so I expect them to come out with very little variations tomorrow night.